A Southwest Airlines flight from New York to Dallas which experienced an engine failure has led to the death of mother-of-two and forced an emergency landing on Tuesday. The incident of the emergency landing which led to the killing of the woman is reported as the first fatal incident in nearly a decade in US commercial aviation. Report into the take-of of airplane 737-700 has it that the plane had no problem until few minutes in the air when the passengers noticed an explosion in the left engine, which sent shrapnel flying through the window, shattering the glass and leading oxygen masks to drop, witnesses said. “We believe there were parts coming out of this engine,” Robert Sumwalt, chairman of the National Transportation Safety Board, told a news conference, confirming engine failure but no fire. “There is one fatality,” Sumwalt said. The person killed was later revealed to be Jennifer Riordan, a 43-year-old bank executive and mother-of-two from Albuquerque, New Mexico, according to officials from her hometown and state as well as local media. US media reported seven people were slightly injured. “We are saying this is an engine failure,” Sumwalt said. Southwest Airlines said flight 1380 had been en route from New York’s LaGuardia domestic airport to Dallas Love Field with 144 passengers and five crew members on-board. It landed at Philadelphia International Airport at 11:20 am (1520 GMT) after the crew reported damage to one of the engines, the fuselage and at least one window, the Federal Aviation Administration said. “We are deeply saddened to confirm that there is one fatality resulting from this accident. 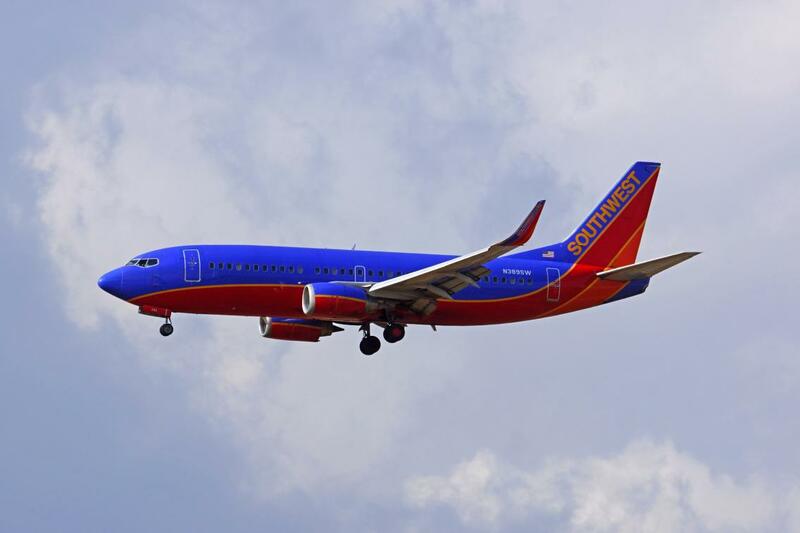 The entire Southwest Airlines family is devastated and extends its deepest, heartfelt sympathy to the customers, employees, family members, and loved ones affected by this tragic event,” the company said in a statement. Riordan, who was a vice president of community relations for Wells Fargo bank according to her LinkedIn profile, was described by local officials and media as a well-known community leader and philanthropist with two school-age children, whose husband Michael was their city’s former chief operations officer. “Today, Albuquerque lost a thoughtful leader who has long been part of the fabric of our community… this is a tremendous and tragic loss for Jennifer’s family and many others throughout our city,” tweeted Albuquerque Mayor Tim Keller. Tributes also came from New Mexico Senator Tom Udall and Governor Susana Martinez. NBC News meanwhile released a recording of what it identified as communications between air traffic control in Philadelphia and the pilot, giving dramatic insight into what witnesses called a terrifying flight. “We have a part of the aircraft missing, so we’re going to need to slow down a bit,” said a woman, who appeared to be the pilot. “Use caution for the downtown area,” replies air traffic control. “Could you have the medical meet us there on the runway as well? We’ve got injured passengers,” says the voice from the plane. “Is your airplane physically on fire?” asks air traffic control. “No, it’s not on fire but part of it’s missing. They said there is a hole and someone went out,” the pilot replies. “Something is wrong with our plane! It appears we are going down!” wrote passenger Marty Martinez on a Facebook live-stream that showed him looking panicked and breathing through oxygen mask. “Engine exploded in the air and blew open window 3 seats away from me. Explosion critically injured woman sitting in the seat next to the window,” he added. US television footage showed the jet on the tarmac at Philadelphia as officials swarmed around the fuselage examining the stricken engine, manufactured by CFM, a joint venture between French company Safran and America’s General Electric. Passengers tried in vain to plug the hole in the window as the plane started to plummet and tilt in turbulence with flight attendants crying and passengers instructed to brace for landing, Martinez said.